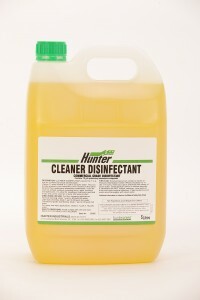 Cleaner Disinfectant passes the T.G.A. test for Commercial Grade Disinfectants (Option C) when diluted at 1 part in 20 parts water. This eco friendly product is non hazardous and is based on the latest benzene free quaternary ammonium compounds. It can be used on all hard surfaces including floors, walls, benches and bathrooms. It is ideal for mopping in bathroom and tiled areas and can be used as a spray and wipe product.